Jason and I plan to visit our families once more before we head to Norway. 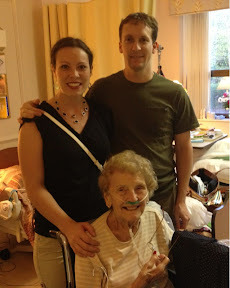 We were thinking we would visit Chicago in late September, but after hearing my Babi (Czech word for Grandma) was in the hospital we made plans to go visit sooner. After having surgery to remove a significant amount of fluid in her lungs, Babi was transferred to a rehabilitation nursing home to regain her strength and recover. 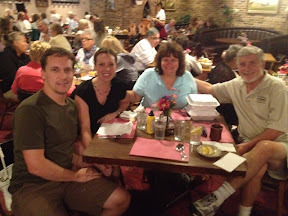 We flew in to Chicago Saturday and grabbed a bite to eat before visiting the nursing home. Then we headed to see Babi! While we were there my dad and Mary gave us an anniversary gift so Babi could see us open it. 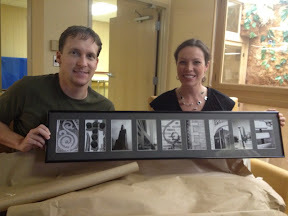 It's our last name framed beautifully with Chicago landmarks as the letters. We stayed with Babi until she was ready for a nap. She was doing pretty good, but is easily tired. We left the nursing home and headed to the outlet mall. That's right. Another mall! There are just some things you cannot get in Houston...down jacket, boots, and some sweaters! Plus Babi needed some pajamas so Mary and I each bought her a new set. We swung by the nursing home to give Babi her new jamies and then headed to an authentic Czech meal at the Bohemian Crystal. 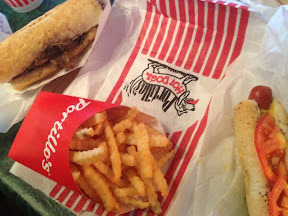 It's a favorite that we always visit when we are in Chicago. 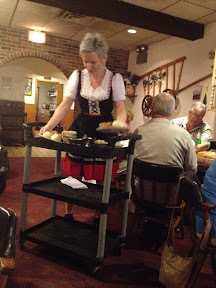 The food is amazing and the waitresses all dress is traditional Czech garb. 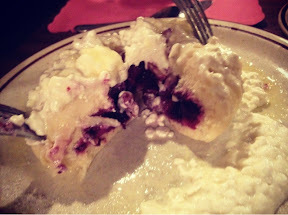 And for dessert Jason and I shared a blueberry fruit dumpling! We tried to make them last New Year's Day and while they were edible, they were nothing like the Bohemian Crystal's! Sunday we went to church and then helped Mary get ready for the afternoon of visitors. 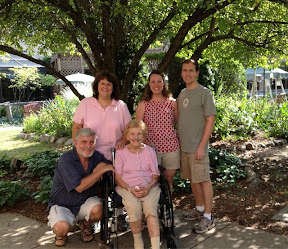 Her cousins from Michigan were in town and Babi and Aunt Marie had passes to come over. 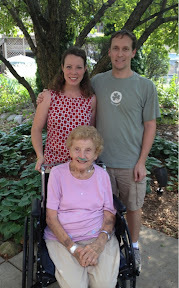 Jason and I went to go get Babi and Aunt Marie and bring them to Mary's house. I don't think I realized how spread out the 'burbs of Chicago really are! It seemed like we drove a lot, but it was worth it to get to spend more time with those precious ladies! 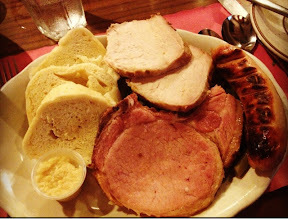 When we came back we had a delicious spread of Czech food (We have to get our fix while we can! 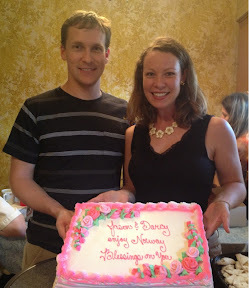 We'll eat salad this week I promise...) and then Dad and Mary surprised us with a cake! We slept in on Monday and had leftovers for lunch before heading back to spend the afternoon with Babi. We've had a great visit, but a tough visit too. It's hard seeing Babi so weak and struggling. We are praying that she makes a speedy recovery so that she can Skype with us when she's back home!